1.) 10% Happier: Dan Harris, a broadcast journalist and news anchor, wrote a book about how meditation makes him about 10 percent happier in life. He struggled with drugs and addiction after coming home from war journalism, subconsciously seeking out the adrenaline he couldn’t get in the field. After months of abusing drugs he had a panic attack on air and realized he needed to find a better way of living. Harris is funny, sarcastic, and doesn’t lay too heavy on the mumbo-jumbo that turns many people off from meditation. 2.) Haircuts, Ice Cream, and Cigarettes: Emma Mercury disappeared to Cuba for a month without Wifi, a plan, or anyone she knew. Now, finally returning home to New York, she writes about what she experienced living there with locals for four weeks, displayed against a backdrop of peachy, saturated film photos. It’s definitely something to read while sipping your morning cup of coffee and dreaming of a getaway. 3.) 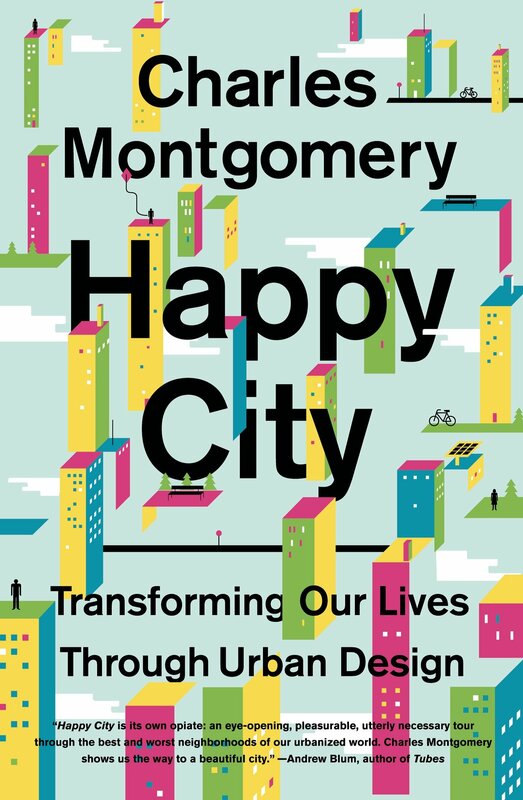 Happy City: Charles Montgomery wrote a book on urban planning: what cities are the happiest, what makes them so happy, how slums are created and his idea of ideal urban design. He takes what could potentially be a dry topic and breathes life and humor into it. It’s a fascinating read for anyone who considers themselves a city person. 1.) 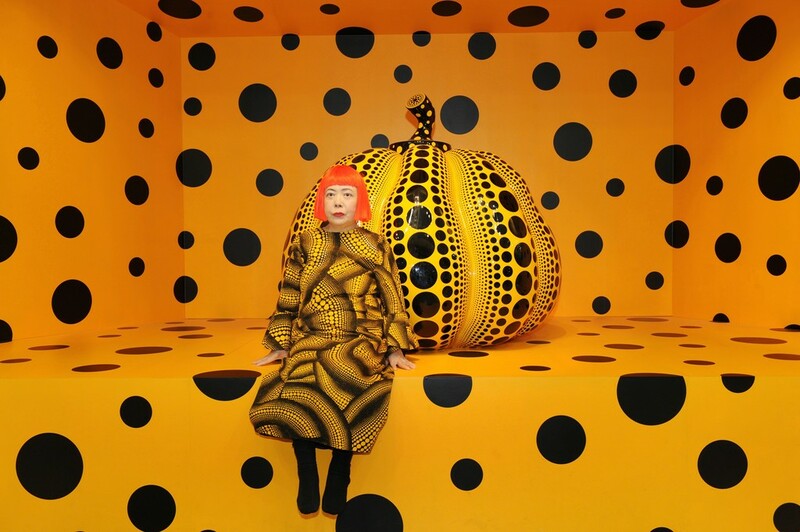 Yayoi Kusama Interview: While in D.C. over spring break, I got to see the Yayoi Kusama exhibit at the Hirshhorn on her 88th birthday. She is obsessed with polka dots, infinity and pumpkins, so naturally I loved everything. 2.) Rum & Coke: We all know how much I adore The Messy Heads, and this is the latest installment in a YouTube series entitled “Retrograde” by MH’s founder, Emma Mercury. She vlogs snippets of her day/week/month and puts them into episodes, but trust me when I say it’s vlogging like you haven’t seen it before. 3.) Blue is the Warmest Color (available on Netflix): This movie is completely in French and is NSFW, but it’s absolutely compelling. It’s a coming-of-age story about a girl grappling with her sexuality, pursuing her career, and battling her inner demons. It’s raw and, while not explicitly sad, will probably make you cry. 1.) 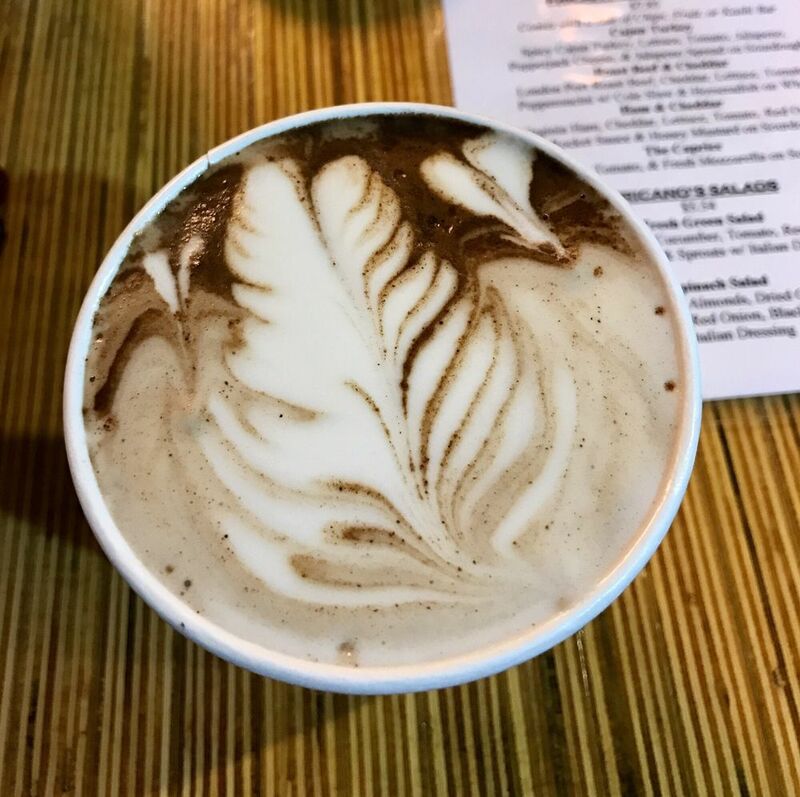 Mexican Mocha Lattes: The bite of Mexican spices, the rich aroma of chocolate and the roasted espresso flavor all meld together to create one knockout drink. It’s best served in a giant ceramic mug next to your best friend (bonus points if the coffee shop is also an art gallery). 2.) Popcorn: While it seems basic, this low-calorie snack provides so many customizable options. Add cheese, chocolate, or make a trail mix – whatever your heart desires (not to mention that it is perfectly suited for all occasions). 3.) Hoagies: Classic Italian hoagies made in Philadelphia delis that bake their own bread every morning and serve giant pickles in coolers that you fish out yourself. Everything is fresh and sliced to perfection.